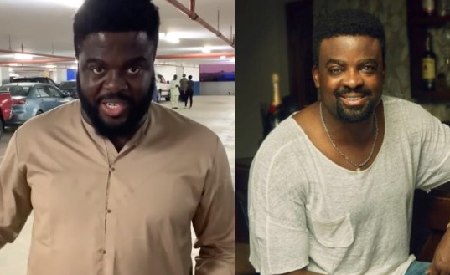 Nollywood film maker and actor, Kunle Afolayan who is an elder brother to Aremu Afolayan has distanced himself from Aremu’s outburst video. He took to social media to clarify, asking people to stop tagging him or calling his number, saying he is not the one in the video, but his brother. 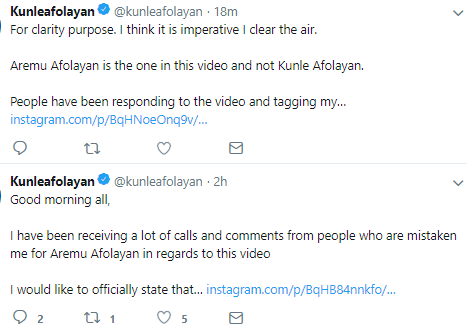 ‘’Good morning all, I have been receiving a lot of calls and comments from people who are mistaken me for Aremu Afolayan in regards to this video. I would like to officially state that this is not Kunle Afolayan, he is my brother not me. There is frustration in the land but hey! Thank you. Ire’’, he wrote on one of his social media platforms. ‘’For clarity purpose. I think it is imperative I clear the air. Aremu Afolayan is the one in this video and not Kunle Afolayan’’, he wrote in another. 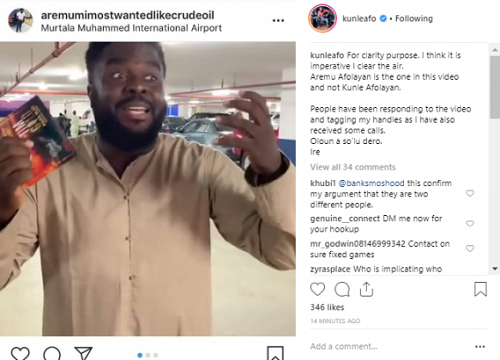 ‘’People have been responding to the video and tagging my handles as I have also received some calls. Oloun a so’lu dero. Ire’’, he said again.